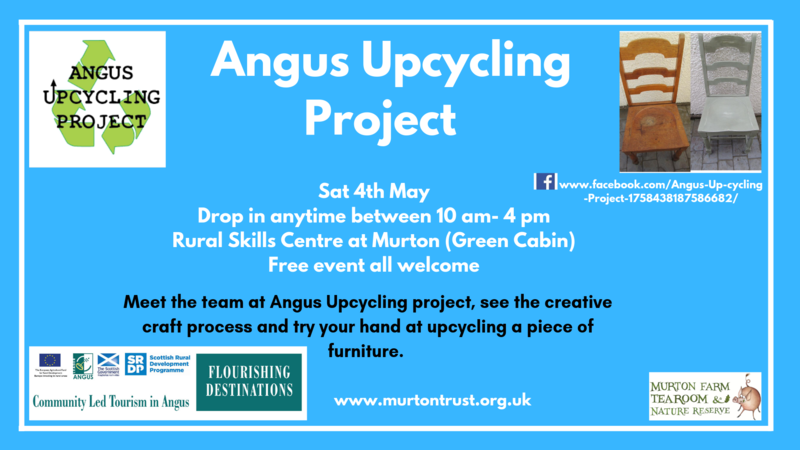 Be sure to come along and meet the team of volunteers at recently established charity Angus Upcycling Project. They upcyle furniture and other house hold items to restore them and provide them with a new lease of life! Join them on Saturday 4th May for their open day to hear about their current projects and how to get involved.